Summer time is just about halfway over and we’ve been trying to get creative in our lunch routine. 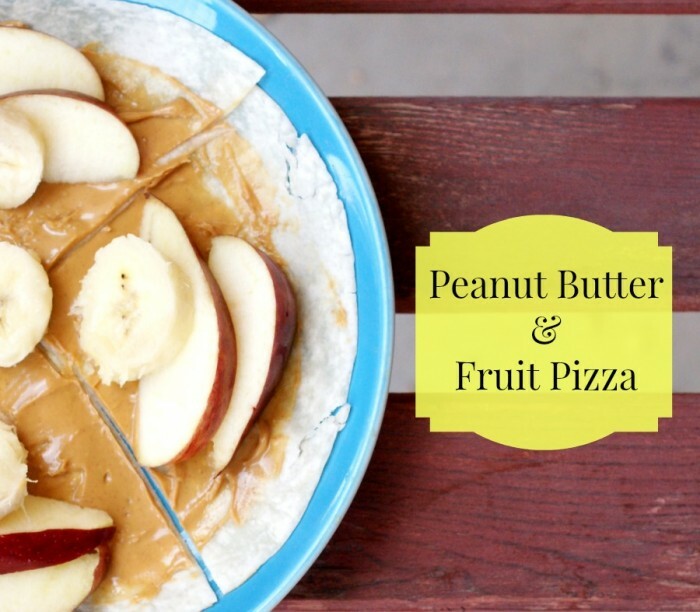 Typically it’s a PB&J lunch day so the Clever Guy and I came up with a Peanut Butter & Fruit Pizza for a little change. Of course whats nice about this recipe is kids can help and even older kids can make it themselves. I’m trying to think of clever ways for him to take this to lunch during the school year, maybe rolled up or a “DIY” kit. 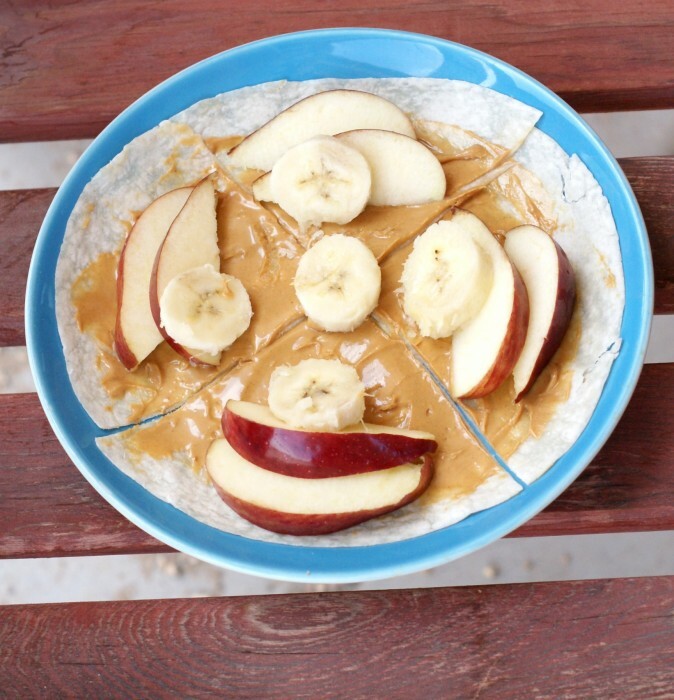 Spread the peanut butter on the tortilla, then cut into 4ths. Decorate with fruit and you are done!